60 Best 3 Ingredient or Less Crock Pot Recipes: Beef, Chicken, and More! 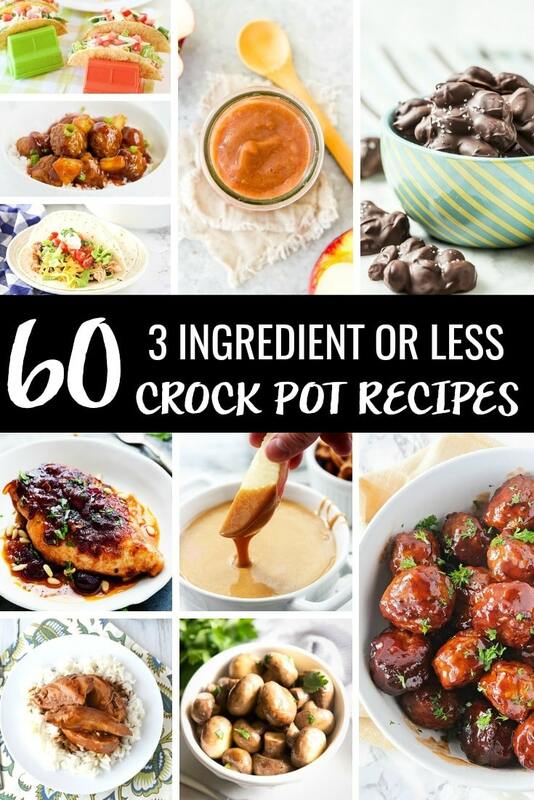 For those days when you haven’t gone shopping and don’t have time to cook, try the 60 Best 3 Ingredient or Less Crock Pot recipes. This huge collection of slow cooker recipes has beef, chicken, pork, vegetarian options, and desserts. Easy dinner recipes don’t get any easier than these slow cooker favorites! There are sometimes when your fridge and pantry are not the most well stocked and you just have to make do. As much as I love inventing recipes in the style of ‘everything but the kitchen sink’ and just throw in there whatever it is I have, going minimal can be a better option. The Crockpot recipes I’m sharing below only use 3 ingredients or less, excluding seasonings. This makes them super easy and perfect for those moments when you haven’t gone shopping and don’t have much time to spend in the kitchen. As an added bonus, they’re budget-friendly too. I mean, three or fewer ingredients, right? 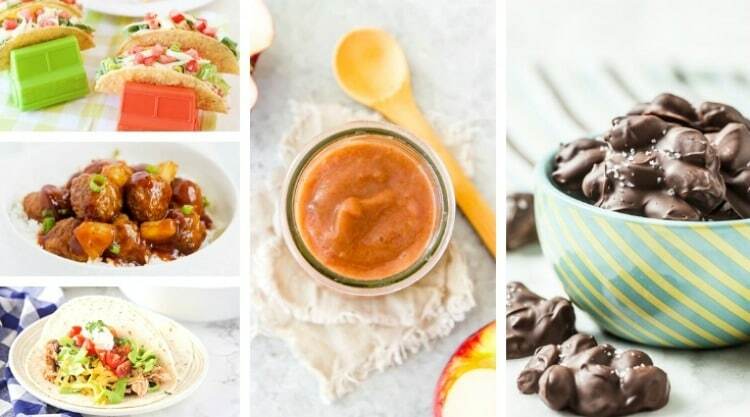 Check out these amazing 3 ingredient or less Crock Pot recipes and let me know which one’s your favorite! If you did go shopping and do have a few more ingredients, this Crock Pot Chili recipe is super easy to make and kids love it too! 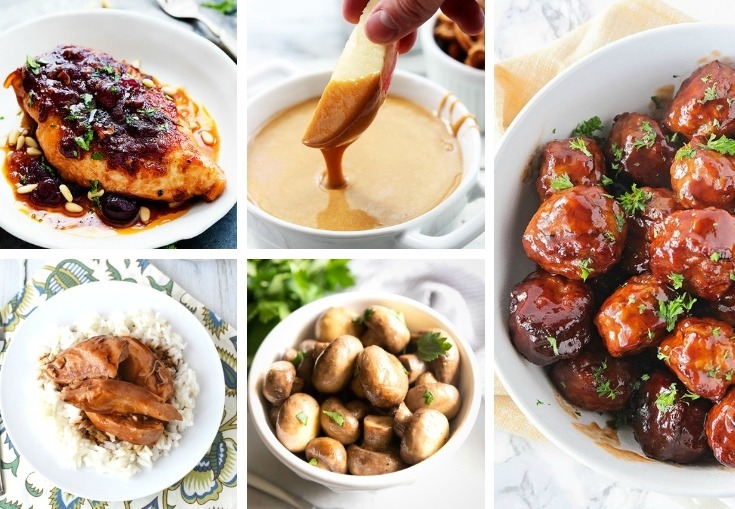 Which of these 3 ingredient or less crock pot recipes are you most excited to try? Make sure to pin this collection of easy slow cooker recipes for later!